Did your loved one adore animals? 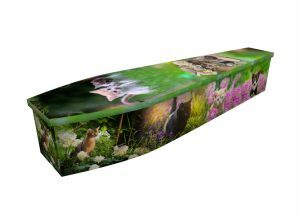 Did they have a special pet or work closely with animals? 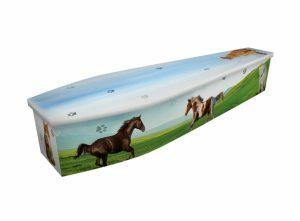 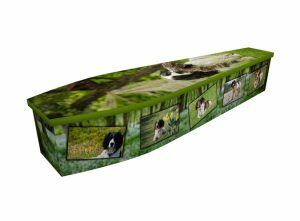 If so, then our selection of animal and pet wooden pictorial coffins could provide a fitting and thoughtful way to celebrate their lives. The butterfly symbolises many things to many cultures and religions around the world, but is commonly used to represent endurance, change, hope, and life. No wonder then that the butterfly is a popular image to print on a pictorial wooden coffin. 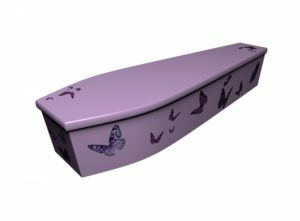 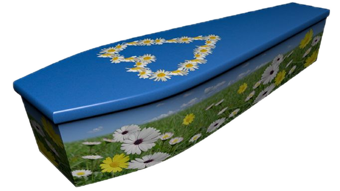 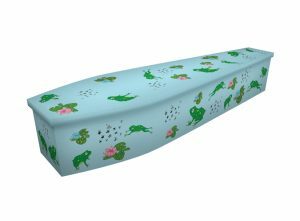 We can create printed butterfly coffins of all kinds and in any colour combination. 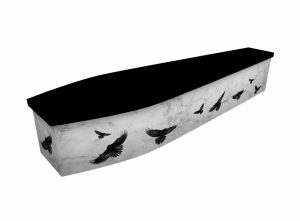 The bird is another well-loved symbol, often used to represent freedom and perspective. Coffins decorated with birds are understandably popular, and our talented team of designers can create a bird-themed coffin based on any species you desire, from owls to eagles, blackbirds to kingfishers. 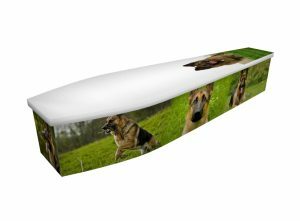 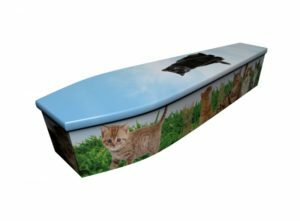 Whether the deceased loved dogs, cats, pigeons or canaries, we can create a coffin that captures their passion for their pets – or for animals in general. 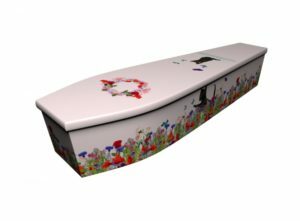 Our design team can provide you with a proof within 24 hours. 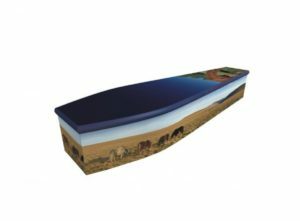 Once you’re happy with the design, we can complete the coffin, and have it delivered within 72 hours.